Oaxaca is known for sightseeing, historic sites, religious sites, museums, and shopping. Your plan includes some of its best attractions: delve into the distant past at Monte Alban, make a trip to Tule Tree, get a taste of the local shopping with Benito Juarez Market (Mercado de Benito Juarez), and take in the spiritual surroundings of Cathedral of Oaxaca. To see maps, ratings, more things to do, and tourist information, read Oaxaca travel planner. Toronto, Canada to Oaxaca is an approximately 16.5-hour flight. The time zone difference moving from Eastern Standard Time to Central Standard Time is minus 1 hour. Expect much warmer temperatures when traveling from Toronto in March; daily highs in Oaxaca reach 35°C and lows reach 14°C. Cap off your sightseeing on the 8th (Wed) early enough to travel to Palenque. 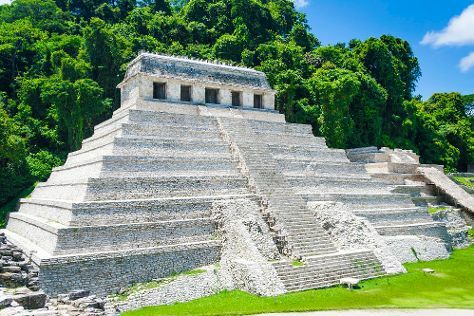 Kick off your visit on the 8th (Wed): make a trip to Palenque ruinas, then meet the residents at Aluxes Ecoparque, and then explore the activities along Agua Clara. Get ready for a full day of sightseeing on the next day: admire the sheer force of Agua Azul Waterfalls and then admire the sheer force of Cascadas de Misol-Ha. For ratings, photos, and other tourist information, go to the Palenque trip builder. You can fly from Oaxaca to Palenque in 4 hours. Other options are to drive; or do a combination of shuttle and bus. Traveling from Oaxaca in March, plan for a bit warmer nights in Palenque, with lows around 24°C. Finish up your sightseeing early on the 9th (Thu) so you can travel back home.